We have ready stock of aluminum stucco embossed grade- aa1100h14 sheet 0. 7 x 1220 x 3660. Prime material ready stock. Our price is rs. 200 per kg+vat and other tax. If you have any requirement to the above product . Please contact us. Application: Industry, Roadside, Stations etc. Matching up with the ever increasing requirements of the customers, our company is engaged in providing Aluminum Stucco Embossed Sheet. We are offering very superior quality Alloy Bright Anodized Aluminum Sheets in various decorative finishes for light reflectors in all industrial lighting products, for interiors & innovative designing. We are leading supplier of Aluminium Alloy Sheets. 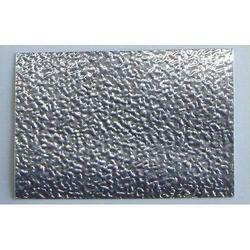 It is also known as Aluminium Embossed Sheet, Aluminium Sheet 2014, Aluminum Alloy Sheets. 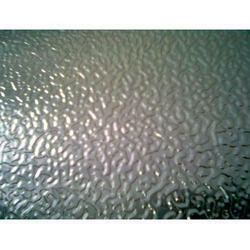 We offer Aluminum Embossed Sheets to our clients. With embossed sheets, the punch doesn't create any hole but it stops before doing it. This process makes marks more or less deep. The shape of marks (ashlars) can be: sticky, square, lozenge, round, teacup, etc. Embosses sheets can be done in any metal and size, at measure, at zones, as drawing, prototype up to medium series, with no minimum quantity.